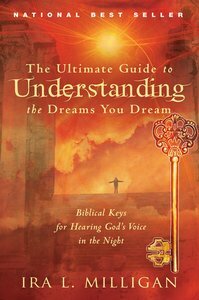 Understanding the Dreams You Dream: Biblical Keys for Hearing God's Voice in the Night not only provides insight into your dreams and life, but also includes a comprehensive dictionary of dream symbols! Personal examples of dreams from the author's own experiences. Practical dictionary of symbol definitions is included. About "The Ultimate Guide to Understanding the Dreams You Dream"
Ira and Judy Milligan have served God since 1962. In 1986 they founded Servant Ministries, Inc. They travel and present such seminars as: Dreams and Their Interpretation; Counseling and Inner Healing; Spiritual Warfare; and Prophets and Personal Prophecy. Ira has taught classes on counseling as a guest lecturer at Oral Roberts University. He and his wife have raised four children and have ten grandchildren. They currently reside in Tioga, Louisiana.